2018 Denver Nuggets: So far, so good … so what? Sometimes you just have to be who you are, and since roughly 2013 the Denver Nuggets have suffered through the most literal of identity crises. This isn’t necessarily the fault of the Nuggets front office but it is a reflection of the events that transpired in the offseason of 2013. The firing of George Karl and the departure of Masai Ujiri represents a fundamental shake in what was well established as the Nuggets core values for what was then the first 46 seasons of their existence. Run and gun, fast, fun basketball. Not to re-litigate the past, but the decision was made – with some rightful consideration – that you needed a defensive approach coupled with solid offensive execution. First round exits were not good enough and the Nuggets then President and Governor (now Vice Chairman of Kroenke Sports & Entertainment) Josh Kroenke wanted to make a clean break from that past. 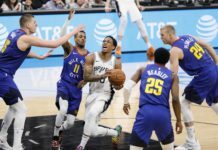 As the Nuggets were exploring a more structured, defensive approach to basketball, the league was undergoing a three point revolution. 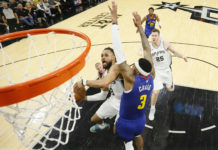 The Golden State Warriors team that knocked the Nuggets out of their first round series – which precipitated the sea change within the organization – was changing the way the modern NBA game was played with a high octane, three-point based offense and gambling defense. In 2014 when Steve Kerr took over the Warriors and defensive guru Ron Adams came along, the Warriors became the new bell-weather and the slower, more defensive approach the Nuggets decided to take with Brian Shaw as head coach was becoming obsolete. 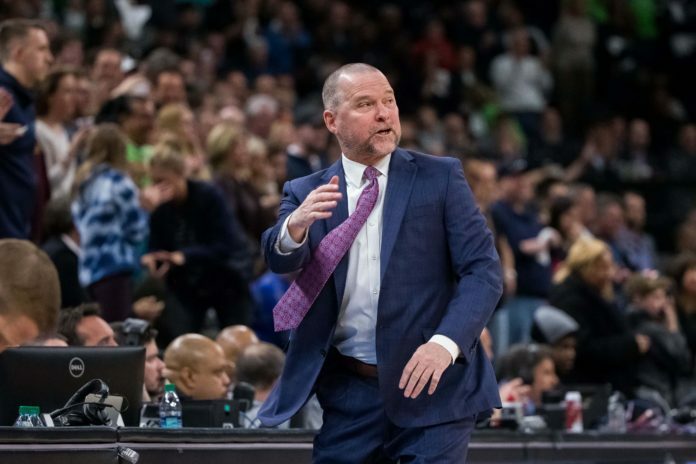 When Michael Malone was hired in 2015 the Nuggets made signals that the run and gun, fast basketball that was the Nuggets identity for 40 seasons may be coming back. It did not. Well, sort of. Through fits and starts the Nuggets have alternated between the 2013 Memphis Grizzlies and the 2015 Warriors with no real solid footing in either. Forget the injuries the last couple seasons, the team’s lack of commitment to style has been exceedingly frustrating. You don’t need me to remind you’ve seen this before from me. I’ve probably written at least three columns on the Nuggets and their inability to embrace a particular style of play. I can feel you checking out of this column RIGHT NOW! It’s ok; I have a point with this long winded recap. The Nuggets have taken a long walk in the wilderness. Five seasons with zero playoff appearances and no real definition of style. Yes, the Nuggets have improved 13 games in the Michael Malone era (from 33 wins in 2016 to 46 wins in 2018) but, you don’t get the sense that they know who they are! The future is undoubtedly bright but how will the Nuggets get there? I don’t believe it is a hot take to say that as great as the Nuggets end-of-season run was (six wins in seven games) it wouldn’t have been needed if they had settled on an identity before game 75. How many wins did the Nuggets leave on the court while they were in the depths of their January malaise? I don’t know … I’m not a doctor. If you know someone who is looking for someone to pretend to be a doctor however I may be your blogger. Maybe. We will talk. This armchair psychologist does know from 30 years of watching NBA basketball that the best teams know their identity and stick to it. Injuries alter approaches but who you are never changes and the Nuggets haven’t been – well – anything. 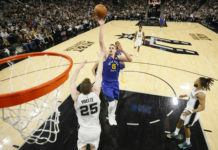 Everything tends to filter down from your best player and they set the tone BUT it seems like there is a massive disconnect between that approach with Jokic and what the Nuggets want to be. It’s created a 9th seed in consecutive seasons. So what is the cure, Dr. Morton? You must be saying this while you read this watching some NBA Playoff game you’re only half-interested in because the Nuggets aren’t in it. Right? Anyway, Dr. Morton prescribes a simple solution and needs to be implemented right now this off season. Do not hesitate otherwise this malaise of “almost” getting into the playoffs will continue. Right. I have to end this article with another Megadeth quote. One that will give us the moral we so crave to wrap up today’s parable. Wisdom. Let me think… ok, here we go.